Why do you think flags have become important symbols for countries around the world? The article identified two reasons that some people in New Zealand wanted a new flag. They said the current flag was a relic of the nation's colonial past and that it was too similar to Australia's flag. Do you think those are good reasons to get a new flag? Why or why not? Why would promoting a new flag help a country's leader create a lasting legacy? 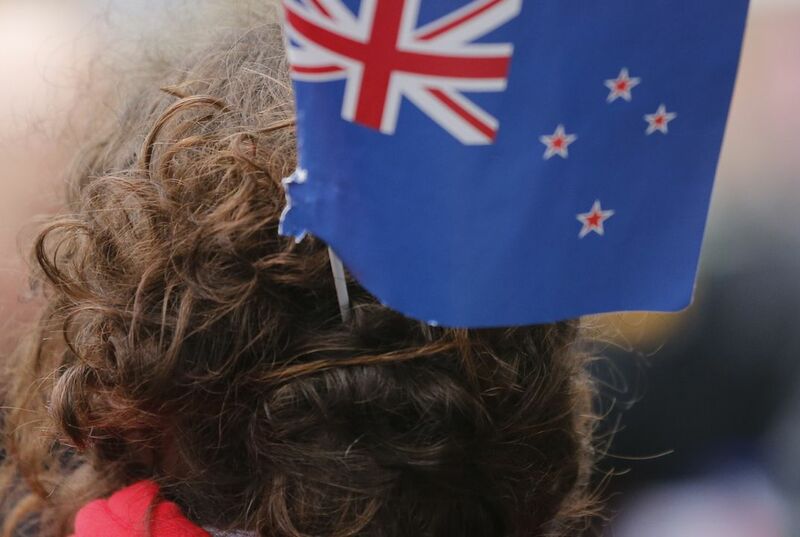 Everyone from schoolchildren to adults were involved in the debate over New Zealand's flag. The issue was decided by popular vote. Why is that such a unique accomplishment? Display an image of your state's flag. As a class, break down the composition of the flag. Identify each symbol. Then create a list of meaningful colors, shapes or other items included in the flag's design. Have students conduct research to learn why each of these items is on the flag. Challenge them to make a connection between the items and significant events in the history of your state. Provide plain white paper and access to art supplies. Encourage students to create a new design for your state's flag. Remind them that while their designs will be different from the current flag, their flags must still display meaningful connections to the state's history. Post students' new flags along with a sample of your current state flag. Invite students to present their design entries to the class. Instruct them to identify important elements on their flags. Challenge them to explain how each element is connected to your state's history. Hold a popular vote so the class can decide whether to the state should adopt a new flag or keep the status quo. Conduct research on your state flag as a class. Then divide the class into small groups. Have each group design and draw a new state flag. Divide the class into small groups. Have groups conduct research on your state flag. Then have each group design and draw a new state flag. Challenge them to explain why they included specific features in their designs. Divide the class into pairs. Have partners conduct research on your state flag. Give them time to design and draw a new state flag of their own. Instruct partners to write a short press release promoting their entry into the state flag contest. Divide the class into pairs. Have partners conduct research on your state flag. Give them time to design and draw a new state flag of their own. Instruct partners to write a detailed paper explaining why their entry is the best choice for a new state flag. Have them read their papers to the class. Based on that information, instruct students to select one entry from all of the new designs. Then have students debate the merits of this new design versus the existing state flag. Hold a class vote to decide whether the state should adopt the new design or keep the status quo. From the mild-mannered Danes to crazed soccer fans, people all over the world go nuts for their national colors. Read this Smithsonian article to learn why. Read this Smithsonian article to learn why some people think we need a universal flag to stake our claim in space. Use this guide to teach students the story of the flag that inspired the national anthem. The unit includes hands-on activities and a list of recommended readings. In this lesson, students will learn the differences between primary and secondary sources and the value of primary sources in history. In this lesson, students learn about the origins and outcome of the War of 1812 and place the creation of the Star-Spangled Banner in a chronological framework.